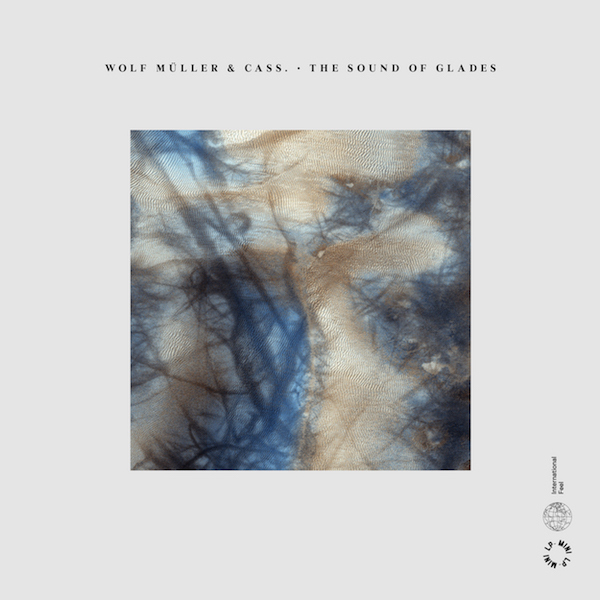 “The Sound Of The Glades” is a studio collaboration between Jan Schulte and Niklas Rehme-Schlüter that saw its live debut at last weekend`s Open Source Festival in Dusseldorf. The guys citing Innovative Communications, Editions EG, ECM, Ulf Lohmann, Bryter Layter, and Manitoba as key influences on their entry to International Feel`s mini-LP series. The title track is sixteen-plus minutes long. Wildlife can be located, in deep cover, off in its distance, in its intro, a drone that sounds like morning waking, animal bustle beginning. Whistles and chirrups. Hi`s and hellos. The uncomplicated joy of a new day. Something that humans have lost, but something I`m reminded of when my dog enthusiastically licks my face and wags his tail as I reach for the alarm at 5 AM. Life`s only purpose is life itself. That be purpose enough. Percussion is improvised, high pitched and small, like finger cymbals taking the role of sparse dew dropping, evaporating, as the sun yawns and rises to a stretch. Apiento told me that he doesn`t do comparisons but Yas Kaz` “Jungle Book” is in here, and midway through its running time, the track takes on the tempo and timbre of Japan`s “Canton”. Talking drums, the water-tuned vessels that characterise Jan`s more Ambient work joining Buddhist temple woodwinds, while the boys themselves buzz and communicate in insect harmony. The scene painted heavy with heat and humidity, a landscape perhaps South East Asian, perhaps Bali`s island of dreams, and the air that of self discovery though journey, through labour. The four shorter pieces are more structured than the opener. They ring with the music of gamelan bowls and “Grandma`s Clockwork”, like ripples on a still pond. The spirits of Jon Hassell`s Fourth World blow between fretless bass touches and serenade Michael Brook`s “Distant Village”. Bongos are added to the pots & pans, subtle pan-pipe hooks, and synth lines for introspective dancing / dancers. Most importantly “The Sound Of The Glades” creates a self-contained somewhere. A perfect, complete listen, that if taken uninterrupted transports you to said somewhere. The aural equivalent of a float in a saltwater tank, a recline on a warm, isolated beach, it`s meditation through music. Put simply, a forty minute holiday.